» What is Instamate 2? Here’s Why I Love it! I’ve had a lot of people inside Wealthy Affiliate asking me “Jewel, What is Instamate 2?” because I'd been talking about it so much. So, I decided to write about it. It seems quite a good tool for streamlining your Instagram accounts. In this overview of Instamate today, you'll discover what the tool can do and see some of the basics on how to use it best for your own Instagram accounts. I liked what James showed in his video (below) so much that I bought it myself and now I recommend it to anyone who uses Instagram to make money online. Have you heard of Instamate 2? What is Instamate 2? I’ve included a video from my friend, James, showing the inside of the Instamate 2 dashboard. 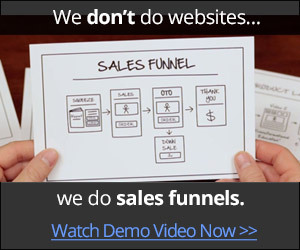 In the video, you will see how he uses it to get traffic to his website. 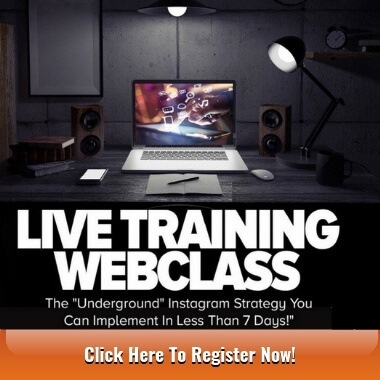 James told me he had never got any traffic from Instagram to his websites until he started using Instamate 2 to automate many of the functions of Instagram. 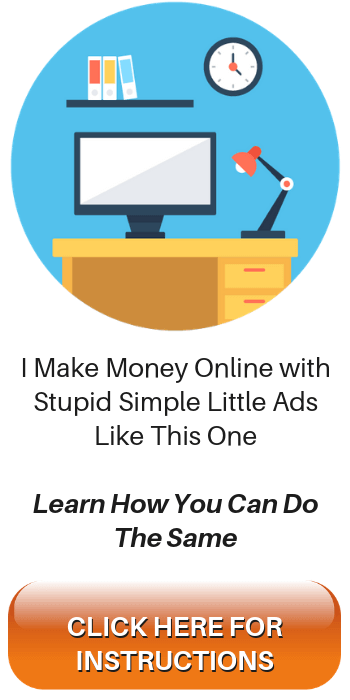 He also told me that the bounce rate for this traffic is better than any other social media traffic such as Facebook, Pinterest or Twitter. If you're not already using Instagram for marketing, you might want to consider giving it ago. Traffic is traffic! Instamate 1 was a wildly popular product in 2016 and this newest arrival, Instamate 2, will no doubt be even more successful than the first version. Let's take a look at the details and also look inside the tool's dashboard in the video you can find by scrolling down the page. RECOMMENDED? If You're into Instagram Marketing, YES! Instagram on its own is a powerful marketing tool if you use it the right way. However, it’s a fiddly experience doing it all on your mobile device. You can login to one Instagram account at a time, find, post, comment, and message within the mobile app. It soon becomes tedious. There is also the fact that you must log in at the best times to post things to your Instagram profile page. I’ve even heard of people setting their alarm clocks for 3 in the morning specifically to wake up and post something because it was the optimum time for them. This would, of course, depend on your time zone. And then there are other things to do like editing images, looking for hashtags, finding trending content and many more activities that are monotonous within the app itself on a mobile device. Now imagine trying to do it all manually on your phone or tablet with 5 different Insagram accounts. Being tied to your mobile device all the time is not a great way to spend your time when you’re trying to streamline your online marketing with Instagram and then there are all the other activities you have to consider, such as blogging, SEO, other social media marketing activities and research on other topics in your niche. Instamate 2 allows you to open your Chrome browser on your laptop or your desktop computer and access 5 Instagram accounts in one clearly laid out dashboard that's super easy to navigate. It takes about 3 seconds to switch between these 5 accounts. There is a Chrome extension that needs to be installed before using Instamate 2 so that you can manage 5 accounts. When you click on the trending on Instagram button you will find all the latest and most popular content being posted on Instagram. These are chosen based on likes, comments and hashtags the content is ranking for. The Instagram finder button allows you to search for people, brands and hashtags based on the keywords you type in. The discover button is somewhat similar to the finder button in that you can type in keywords to find stuff relevant to your niche. Popular Tags button is for finding the most popular hashtags that you can then copy and save for later and use them in your posts. This will help you get more eyes on your content, and as a result, more followers. There is a copyright free images button to get images from a site called Pixabay.com. It’s a very handy integration to have access to. The Twitter trends section is similar in nature to the Instagram Trends (Button at the top). The Post Photo button is exactly that. Click on there and you will be able to post an image to whichever Instagram account is active within the Instamate dashboard. The Post Video button is where you get to upload a video to the currently active Instagram account. The Schedule Posts button allows you to choose content for scheduling. This is the beauty of Instamate 2. This is where you get to spend 95% less time logged in to Instagram doing it all manually on your phone or tablet device. The Scheduled Post Log button when clicked will show you what posts have already gone out. Handy. Youzign Button (Youzign Integration) This is non-essential. Image Convertor Button. Convert your images to different formats before posting. Video Convertor Button. Convert your videos to a different format before posting. Bonuses Button. Lots of free bonus software in here. Some of it handy! Chrome Extension button. Install this, it’s free. It’s essential if you want to add 5 Instagram accounts to your Instamate 2 dashboard. Instafamous Button. Not sure what this is yet as it is a FREE feature that will be coming soon. Click on that tab and a page will open with lots of training videos to watch. Some of them are for Instaeasy which is another product altogether for Instagram by the same creator. I’m not too sure why they added those videos as I found them to be confusing. (Perhaps it's another upsell attempt?). I kept saying to myself “But I don’t have Instaeasy, I have Instamate 2!! !” This was one of the most annoying things to me. I believe all of the training videos should be geared toward only Instamate 2. When you click on this button you will see all kinds of upgrades available. I don’t need any of them and I don’t think you will, either. Click on that button and you will be presented with a page where you can find answers to work out problems you may encounter. Click on here and there are a few basic settings to adjust. The very first setting you should change is your time zone. This is essential because of the scheduling feature and if you want your posts to go out on time it must be set to your own time zone. It’s in here that you can add your 5 accounts. Those are just some of the available features and functions inside the Instamate 2 dashboard. Have a fish about inside to see what's also available to help you with Instagram. I'm sure there will be more features and updates for free in the future. Luke Maguire and his team created Instamate 2 after Luke decided it was silly for his girlfriend to wake up so early in the mornings just to post things on Instagram. Instamate was born in 2016. Instamate 2 came in early 2017. Combined with branding, a website to send Instagram followers to, an affiliate offer or a Shopify store, for example, could be the way to make money online for anyone, really. How Much is Instamate 2? The cost last time I looked was $46 for a luxury account. This is the account where you can add 5 Instagram accounts. The upsells will cost more if you want them. There is the ability to buy the premium version which allows you to add many more accounts through using not the Chrome extension but dedicated IP addresses.I wouldn't see the need for this myself, but I know a lot of Instagram marketers are in many niches, so this option is there for them if they want it. I wouldn't see the need for this myself, but I know a lot of Instagram marketers are in many niches, so this option is there for them if they want it. I like the fact that I can add 5 Instagram accounts all into one easy to use dashboard. That's much easier than using a mobile phone or tablet, for sure. Also, I like the ability to find content and re-post quickly and easily. Perhaps the most likable part of using Instamate 2 is the ability to schedule all posting to multiple accounts. However, I find that leaving my computer on so that they can be scheduled correctly is a bit of a pain. That being said, if I wanted to switch my computer off after scheduling posts I would have to buy the upgraded premium version of Instamate 2. I don't like all the upsells, most of which are not required to make Instamate run best for me. Also, sometimes when trying to post a video it doesn't work. It takes about 10 minutes to upload then it fails. Perhaps I'm using the wrong type of videos (size and file format). I have more to learn about the video related stuff in Instagram and Instamate. In the end I just decided to log in to my Instagram app on my mobile phone and upload a video manually from there. I will learn more in the future as I use the tool. It could be just me because I'm not very techy like that. Speaking of marketing tools, keyword research tools are vital for good SEO on your website. Read about Jaaxy keyword tool here. Should You Buy Instamate 2? Not if you don't like Instagram for marketing. It's solely for use on Instagram only. 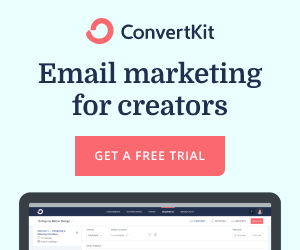 If you are an Instagram freak, like so many marketers are, then this tool will save you many hours of work. There's a one-off payment for the basic “luxury” account where you can add 5 Instagram accounts. To look more closely at Instamate 2 check this out here. Thanks for reading my overview of Instamate 2. If you have any questions, please don't hesitate to leave them in the comments section below and I will reply to them all. Have an awesome day! I'm Jewel and you can read about me here. P.S. If you're not already a member yet at Wealthy Affiliate, you should read my review of WA as soon as possible. It's all about how to make money online and Instagram marketing is just one of the ways to build a business. Previous Post Instamate 2 Review and Video Tutorial 2017 – Make Money on Instagram Next Post Is Instamate 2 a Scam? I Think Not – Watch This! For reasons unknown I can’t buy by means of PayPal. Luke Maguire’s products are astonishing. This will absolutely going to be another wonderful stuff. I purchased his Viral Autobot item and I truly appreciate it. Thanks very much for yr kind comments and feedback, Fancas. reading my review on What is Instamate 2. I am glad you love the review. Wow Instamate rocks, you had so many followers.. Thanks for reading my review on What is Instamate 2. Hello Jewel, it’s me, James. Love this post, thanks for featuring me in the embedded video, I’m famous now! Yippeeeeeeeeeeeee! Instamate rocks. I got 120 new followers on my account in the last 24 hours. 98 followers on my wife’s. 76 on my son’s and because my daughter’s account is brand new, only about 35 new followers on there. With a new Instagram account you must take it slow, or else you will get flagged by instagram. They will make you verify your account with your phone number and a code. It’s annoying when that happen. I also found out you can create about 5 instagram accounts with one phone number, so, no need to change sim cards 5 times.